Do you need a practical bookcase that helps you organize your books in style? Furniture Chelsea offers a great selection of bookcases with or without doors. We have a variety of designs including corner units, wall mounted, contemporary cubes and bookcase headboards. Stylish and versatile, our bookcases are perfect for showcasing your collection of favourite novels, magazines and reference books. These book cases not only help you store your books but also provide you a great place to store boxes or display your favourite vases, picture frames and other decorative pieces. We have bookcases in a variety of materials, shapes, sizes and finishes. 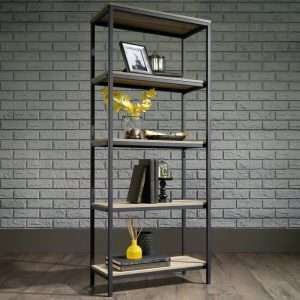 Our wood, metal and glass bookcases feature different number of shelves where you can store your desired books and other stuff easily. Choose bookcases from traditional, contemporary, minimalist ord mid-century modern styles. Available in both horizontal and vertical options, these bookcases can easily fit with your room.